Namaste Technologies proudly supports Vapes4Vets, a site devoted to sharing the experiences of veterans and offering discounts on the tools vets need. On average, 22 veterans take their own lives every single day. Now, one online vaporizer company is helping fight PTSD with awareness and support. Namaste Technologies proudly supports Vapes4Vets, a site devoted to sharing the experiences of veterans and offering discounts on the tools vets need. CEO and Co-Founder of Namaste Technologies, Sean Dollinger, had a chance meeting a while back with a soldier named Jesse Lavoie. Jesse shared his powerful story of suffering from PTSD and the research Jesse had done about Veterans healing through cannabis. Dollinger had long been aware of the widespread use of cannabis to treat PTSD, but after that meeting, the true impact of what cannabis could do moved him to tears. What really led me to believe in [the benefits of vaping cannabis for] PTSD was my whole experience meeting [Jesse]… The first chance we got to meet it was an amazing experience and it really opened my eyes to the good we can do in the world. Dollinger’s compassion and support helped Lavoie to create the online community Vapes4Vets. 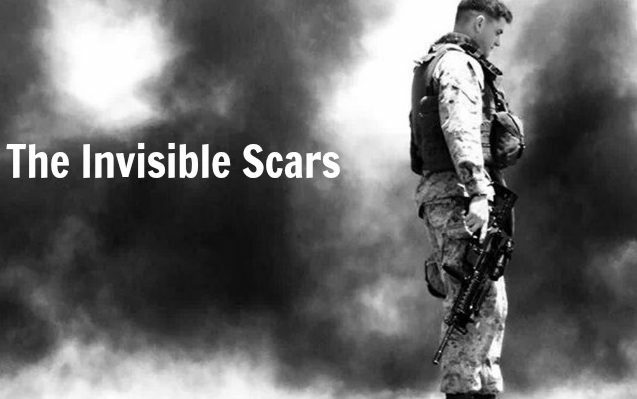 This program is an awareness campaign sharing the stories of veterans with PTSD, and helping them access the best and most cost effective methods to use cannabis to treat it. PTSD is a psychiatric disorder that can occur following a life-threatening or traumatic event. It can occur in anyone, not just combat veterans. But actual combat, fighting for one’s life in conflict, is a life changing experience that few outside the military have to face. Because of the sheer scale of military operations around the globe, combat-related PTSD is one of the most widespread and serious forms of the condition. Traditional treatments for PTSD include potent antipsychotics and antidepressants. These dangerous drugs leave sufferers in a fog, unable to function or truly experience actual happiness. Instead, they level the emotional battlefield to a bland and neutral distance. Many vets are choosing to use cannabis over prescription medications to help treat PTSD. During the day, it increases positivity and joy, and at night, helps them sleep without experience night terrors or flashbacks. THC, the compound in cannabis that produces the “high”, mimics the bodies natural cannabinoid called anandamide. Known as the bliss molecule, it has many functions, one of which is de-emphasizing the impact of traumatic memories in the psyche. If humans recalled every negative emotional memory with as much force as they had been imprinted in the mind when they occurred, life would be a scary thing indeed. While there are many ways to consume cannabis, the quickest relief is provided by inhalation. But smoking cannabis, usually along with rolling papers or mixed with tobacco, is not only inefficient but can contribute to health issues of its own. Vaporizing cannabis doesn’t combust the plant material, so it doesn’t release harmful smoke or carcinogens like smoking. Vaping creates smoother inhales with less coughing, and preserves more of the active medical components to pass onto the user. By vaping, according to Namaste, a consumer can use less cannabis to gain the therapeutic effects. Vaporizers, on average, release cannabinoids with 30% better efficiency than combustion, which burns much of the medical components away. Namaste Vapes is an online distributor, sourcing only the highest quality devices for medical or personal consumption. They also have the lowest prices for their approved brands, guaranteed. Help them support PTSD awareness by visiting Vapes4Vets.com. Use the discount code “Vapes4vets” to save 10% and Namaste Vapes will make a donation to help end Veteran Suicide. Listen to and share the powerful stories of those that have served their countries. Take the time to show the veterans in your life that you may not be able to fully comprehend their suffering, but you appreciate their sacrifice.